Harmanpreet Kaur smashed the first Twenty20 century by an Indian woman to set up a 34-run defeat of New Zealand in a high-scoring opening match at the ICC World T20. Captain Kaur led by example in the Group B clash on Friday at Providence, starting the tournament in style with an unbeaten 103 from only 51 balls. Harmanpreet smashed eight sixes and struck another seven boundaries as India posted an imposing 194-5 after opting to bat first. 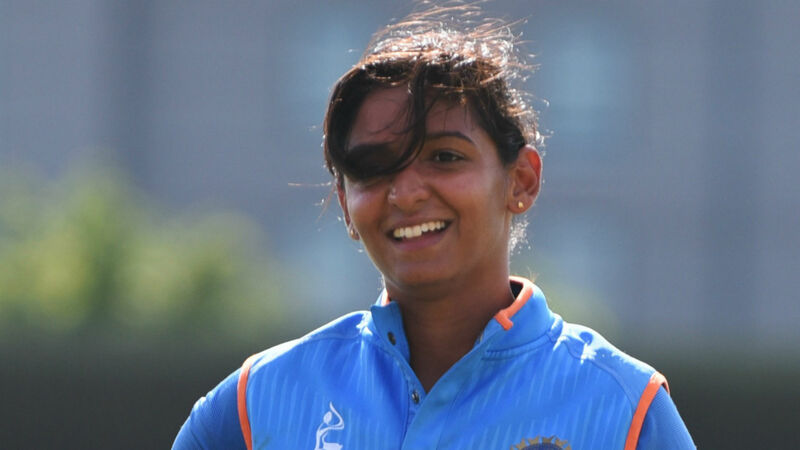 Jemimah Rodrigues also made 59 from 45 deliveries in India's second-highest T20 total after two early wickets from Lea Tahuhu reduced them to 22-2. Suzie Bates made a 50-ball 67 in reply, but the White Ferns fell short on 160-9, with Dayalan Hemalatha (3-26) and Poonam Yadav (3-33) taking three wickets apiece.